JLF PRO is a brand of GROUPE JLF, headquartered in Lyon France and its US subsidiary GROUP JLF USA located in New York. This unique shoe accessory brand is sold worldwide to major industrial companies. All the accessories were designed and developed for the safety industry for the safety industry. For more than 35 years, our R&D analyzed common manufacturing, servicing, construction, and agricultural working conditions to develop the most adapted products. Professionals struggle daily with tiring and sometimes harming working habits such as long standing position, walking on concrete, harsh climate, or non-breathable working shoes. WE TAKE YOUR COMFORT AND SAFETY AS SERIOUSLY AS YOU DO! Meeting ASTM and European safety standards is the minimum requirement, most of our accessory go far beyond these tests. As well as being tested and certified, every one of our product is put through its paces at our plant before we consider it is ready to use. We have even developed our own range of rigorous trials in which subject our shoes to incredible amounts of simulated use and abuse. We go to every extreme to make sure our accessories are safe and durable, even in the most heavy duty environments.  We can provide you with simple, practical advice to help you understand how you can fix common comfort problems or implement new foot care solutions. Do not hesitate to call our representatives! We’re waiting to take your call from 9am–6pm EST, Monday–Friday.